The following support article will help you get started using the new SkoolBag app. Tip: Take a quick tour of the app to see what it looks like by just clicking on the "Quick Tour". 1.5 Confirm your Registration - Please check your emails to find the confirmation link. If it didn't work, check out this article on SkoolBag app Account Login Troubleshooting. e. Now you can see the School you've added on top, under My Schools & Services. 4.1. With in the school's content click on the "Groups" tab. 4.3 Click on the icon on the screen to add the relevant content groups. 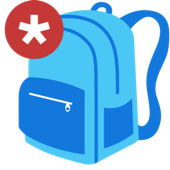 V3 Upgrade: Why does SkoolBag now require user accounts?